We are credible Manufacturer, Importer, Exporter and Supplier of Geophysical Instruments based in Delhi, India. These instruments are manufactured by using top-notch quality material and advanced tools which give them accurate dimension and smooth finish. We have developed a vast distribution network to ensure customers obtain their order of Geophysical Instruments within postulated time. 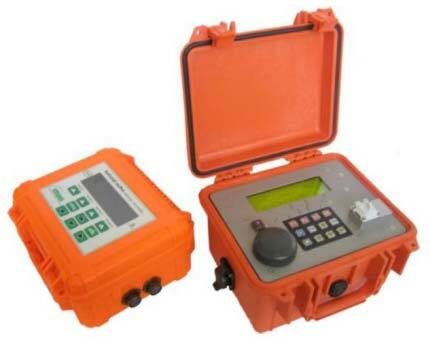 Types of Geophysical Instruments : Our Geophysical Range of Products includes Ground Penetrating Radars, GPR for Utility Detection, Concrete Imaging, Exploration Seismographs, Borehole Seismographs, Resistivity Systems, Well Cameras, Micorpaleo Slides, Strong Motion Accelerograph, MASW, Borehole Loggers, Pressure Meter, Water Level Monitoring System, Landslide Monitoring Systems, Resistivity Sounding & Imaging Systems, Micro seismic Instrumentation and Data Acquisition, Fraction Mapping, Geophysical Receivers, Sensors, Geophysical Wireless Systems, Frequency Domain EM etc.